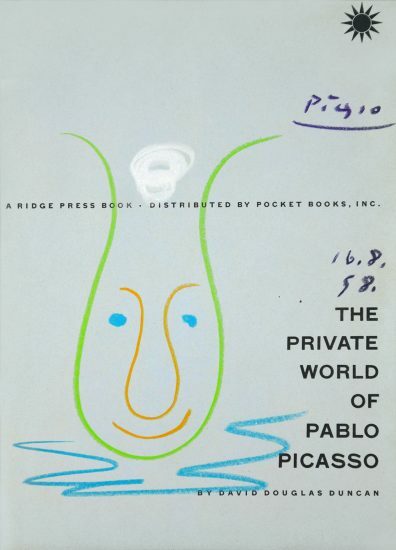 This is a unique original crayon drawing featured in the book "The Private World of Pablo Picasso" by David Douglas Duncan. 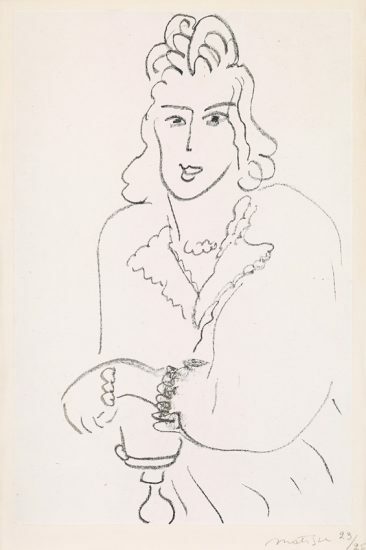 It is hand-dated by Picasso in dark blue crayon '16.8.58.' on the right. This piece is hand-signed in dark blue crayon by Pablo Picasso (Malaga, 1881 - Mougins, 1973) in the upper right. This work is in good condition, slight fading of paper color due to age but drawing unaffected. 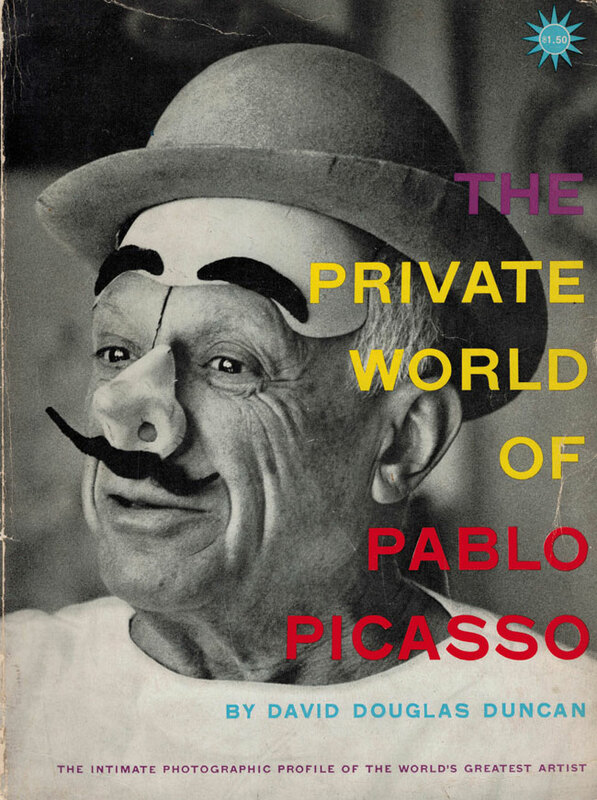 A delightful, colorful face of a clown-like figure graces the title page of "The Private World of Pablo Picasso". 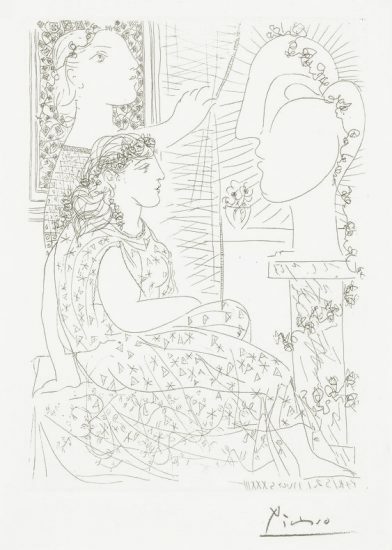 Written and photographed by David Douglas Duncan over the course of his 6-month stay in Picasso and Jacqueline's home, this book became a collaboration between the three. Intimate yet not intrusive, this book provides amazing insight into the then 75 year artist's world, both personal and professional. 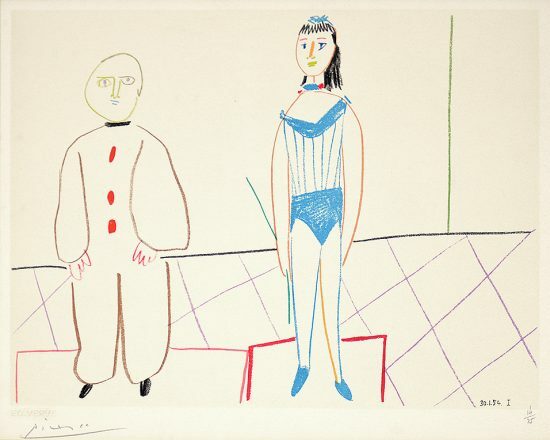 With the addition of the clown drawing in crayon by Pablo Picasso himself, one can see how creative and good natured the artist was. Picasso Clown Head itself is a fun and carefree image. Much of Picasso's work that deals with the human face, or any face at all, deconstructs the face down to its simplest elements, and starts from there. 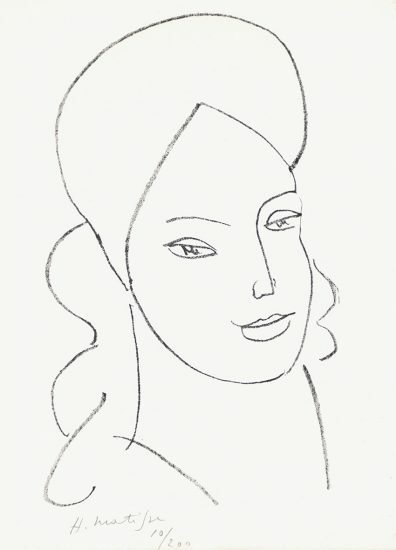 In this drawing, Picasso creates a defined head in yellow, and fills it with to simple bright blue eyes, a smiling orange mouth, and an orange nose that mimics almost exactly the shape of the head. The nose is the largest feature and it dominates the composition. The blue ruffles around the neck of the face give away the secret that this is a clowns head. It is fitting than on a book about Picasso's world he would exhibit his talent at rendered simple figures with great life. 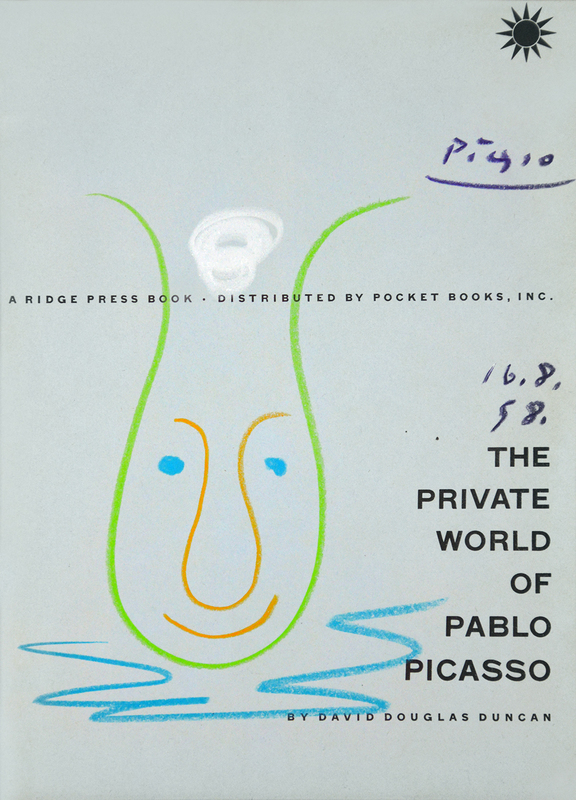 Created on August 18, 1958, this crayon drawing is featured in the book, "The Private World of Pablo Picasso", published by Harper & Brothers and written by David Douglas Duncan. It is hand-signed in dark blue crayon by Pablo Picasso (Malaga, 1881 - Mougins, 1973) in the upper right and also features a hand-written date of '16.6.58.' in dark blue crayon on the right. A Certificate of Authenticity will accompany this work. Pablo Picasso Clown Head (Tête de Pitre), 1958 is framed to museum-grade, conservation standards, presented in a complimentary moulding and finished with silk-wrapped mats and optical grade Plexiglas. 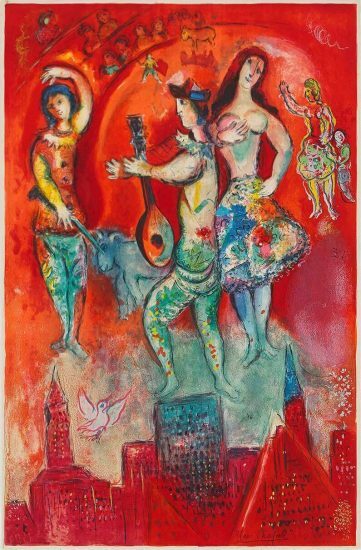 Pablo Picasso revolutionized the art world and to many is THE artist of the 20th century. 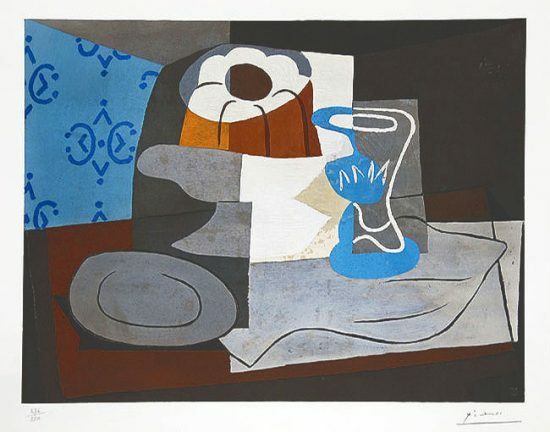 He is famous for his role in pioneering Cubism with Georges Braque and for his melancholy Blue Period pieces. 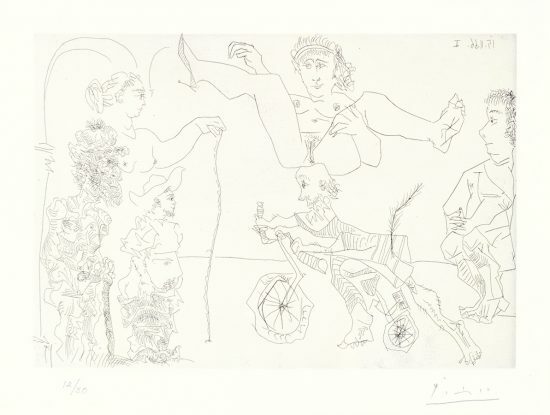 Picasso original signed lithographs and prints are a sure investment. 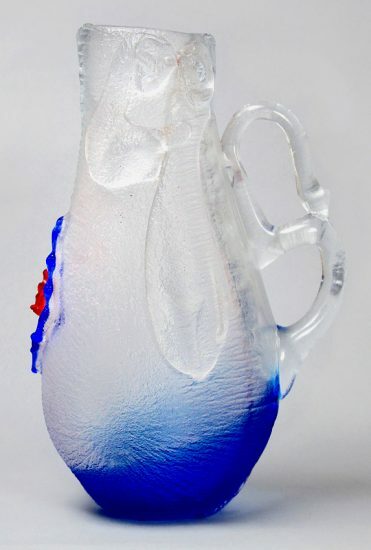 Madoura Picasso ceramics are highly collectible in their own right. 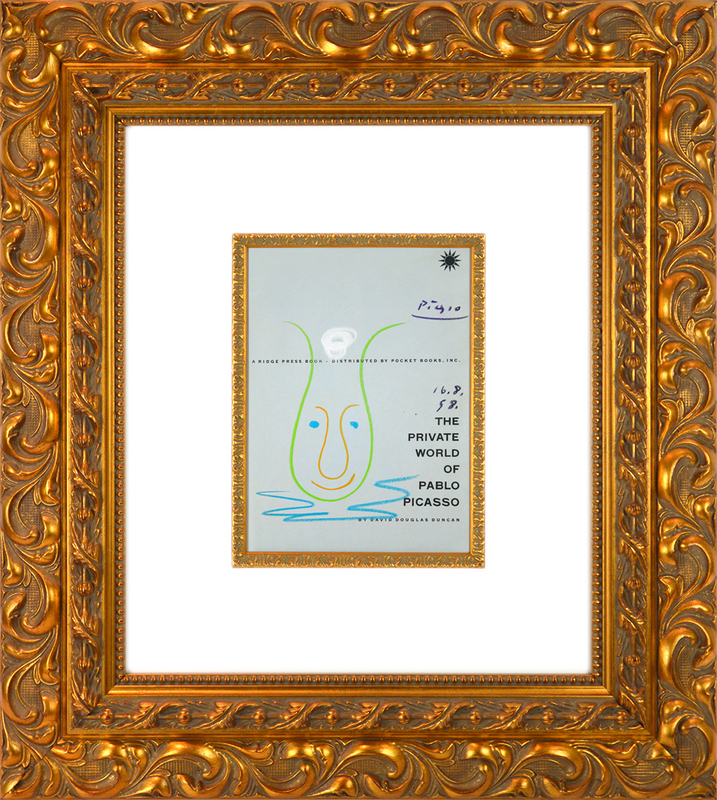 Sell your Pablo Picasso fine art with us. We offer free evaluations.